The latest edition of Japanese magazine Nintendo Dream included a small interview with SEGA Ages lead producer and director Rieko Kodama and supervisor Yousuke Okunari. They discussed the history of SEGA Ages’ name and formation, including why they went with a new logo for the upcoming Switch release. In addition, they reconfirmed their steady schedule of monthly releases and teased some new features and new games. It seems we have some exciting announcements to look forward to, but until then, read our translation of the interview below to hold you over. With the announcement of the first set of games in the new SEGA Ages compilation for Nintendo Switch, SEGA also showed off their brand new logo. This fresh SEGA Ages design mixes the classic blue color of their primary logo with a retro vibe. We spoke with the lead producer and director, Rieko Kodama, to learn about the circumstances of the new design for this modern compilation of classic games. Rieko Kodama is notable as one of the first prominent women in Japanese game development. She has worked on graphic design for countless SEGA games, including the “Phantasy Star” series; she was also the director of “Phantasy Star IV”. Currently, Kodama is the producer for the “7th Dragon” series. Pixels and that quintessential blue color pair perfectly with these updated re-releases. The new logo even appears on the games’ title screens. When you boot up a SEGA Ages game, the new logo also appears alongside the game’s title. We think everyone will enjoy seeing it together with their favorite games. Monthly SEGA releases and in-depth discussion on future plans for the collection. We spoke with Yousuke Okunari, supervisor of SEGA Ages, for some firsthand information on upcoming releases. Okunari has worked on the SEGA Ages series for upwards of ten years and he even worked on the SEGA 3D Classics Collection for Nintendo 3DS. Serving as supervisor for SEGA Ages, Yousuke Okunari oversees countless aspects of the project, including new quality of life features. He’s a big fan of SEGA’s classic video games. 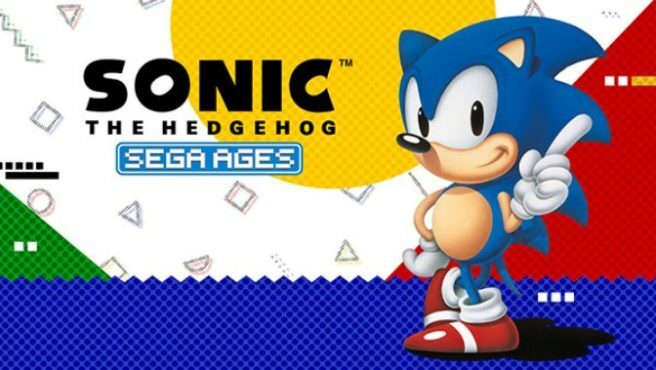 The name “SEGA Ages” couldn’t be more perfect! Since Okunari has worked on the series for so many years, we thought he’d be the right person to ask how they came up with the name. “It’s hard to say who exactly spawned the name since it’s been so long now, but we chose it because the word ‘ages’ perfectly evokes the image of telling the tale of SEGA’s history,” Okunari responded. The name could also be interpreted as “The SEGA Generations”, and the word ‘ages’ is even a palindrome of “SEGA”. How incredible is that?! Adding something fresh and exciting without tarnishing the integrity of the original games. SEGA is hoping its fans will notice the small details they’ve integrated into each title. Okunari explained why they decided to add a few additional touches, “We thought that if we took the easy route and just ported the original games over, even though people could play their favorite classics on modern consoles, they weren’t going to be terribly excited. So with the die-hard fans in mind, we wanted to include new elements that everyone would approve of. These new aspects aren’t aimed at just the newer generations of gamers, these are things we think the original fans would expect to see if the game were released today. We’re confident that the features we’ve implemented keep the integrity of the original games intact while fostering a smoother, more enjoyable experience.” Fans will be pleased to hear that none of the new additions disturb the games in any way, and that each game still feels exactly as it did back then. SEGA has found a superb balance just as they had with their past compilations. For example, the 3D Classics series added an easier difficulty mode to some titles which allowed everyone to enjoy the games. We are looking forward to see what kind of features will be included in this series’ future entries. Experience these games in a way that can’t be found anywhere else, thanks to Nintendo Switch. We wanted to know if SEGA would be utilizing any of Nintendo Switch’s unique features. Okunari elaborated, “We’re way ahead of the curve on this one since the same staff that made SEGA 3D Classics Collection is working on SEGA Ages for Switch. The Switch can be a portable so they’re already thinking about the best ways to take advantage of the hardware.” For example, only Nintendo Switch gives players the option to play the title “Gain Ground” in vertical mode. We also asked Okunari about the potential inclusion of online modes, and he responded very affirmatively, “Although we did not support online with our SEGA 3D Classics Collection releases, you can definitely look forward to it with SEGA Ages!” And on that note, the two games in the first set of releases will both support online play. Just because these games were released years ago doesn’t mean anyone can’t enjoy them today! Okunari has a special message for any young gamers who do not have an interest in older titles, “If you compare the games that your parents played when they were your age with modern ones, they may seem simplistic because that was the beginning of an era for home console gaming. However, fans during this time were just as enthusiastic about gaming as you, if not more so. While they may seem primitive at face value, these are concise video games with meticulously crafted systems and updated features. I believe that the experiences these games have to offer transcend generational boundaries, and I would be honored to hear that gamers today are enjoying them.” The league of gamers that were crazy about these games in the past are now working on this project, and we know that the excitement they felt back when first playing them will be communicated to new generations. There are games included in the line-up of 15 titles that have never seen a rerelease before! We also inquired what plans they have for the future. We asked Kodama how the release schedule is planned after August. “We are planning to release one or two titles monthly. We initially revealed five titles with the announcement of SEGA Ages for Nintendo Switch, but we actually have more than 15 in the works,” Kodama responded. This series is shaping up quite nicely! There was still one thing on our minds, though: would there be any classic games in this collection that we haven’t seen since their original release? “You can count on it. We have Technosoft’s ‘Thunder Force IV’ and others planned. You’ll just have to wait for the reveals!” Once they’re announced, you can read all about it here!